Edmonton “spends about C$35 million each year on the 300,000 megawatt-hours of power [it consumes], used for everything from keeping the lights on at city buildings to running the LRT,” CBC News reports. 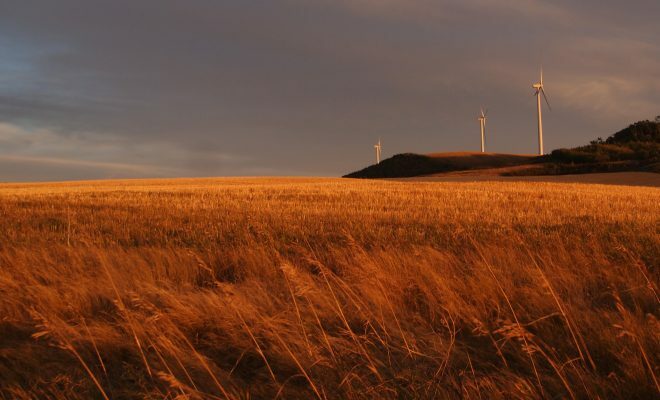 “That’s a huge energy demand that could spur new renewable energy development, such as a mid-size wind farm,” and Mayor Don Iveson is looking ahead to upcoming electricity contract negotiations as a moment to move in that direction. At a public forum earlier this week, Georgetown Mayor Dale Ross said it was “first and foremost a business decision” when his city of 70,000 people switched all its electricity consumption to solar and wind. While Edmonton is more than 10 times Georgetown’s size, and the Texas community owns the utility that powers all its homes, Ross said the two communities share common problems—like the difficulty of breaking long-term energy contracts. Edmonton’s power supply contract is negotiated in five-year increments, and it’s about to expire, CBC notes. But the city might miss the immediate deadline—in June, city councillors directed their energy transition team to take up to two years to conduct a “robust analysis” of how to procure more green energy. “If that’s the approach we take, we’re still a few years away from being able to have 100% green electricity,” said energy transition program manager Mike Mellross. While he was in Alberta, Ross attended the Pembina Institute’s Alberta Climate Summit and brought some harsh words for “clean” coal to an interview with CBC Radio. Ross, a certified public accountant in his day job, said the fossil industry in Texas “doesn’t like any more competition, so they like to point out all of the deficiencies of wind and solar, and I like to point out all the deficiencies when it comes to fossil fuels.” While “I am not saying it’s going to work for every city,” he stated the two options carry comparable costs.